In one of its last judgments before the summer break, the Court found violations on several counts in a case lodged by the Austrian Religionsgemeinschaft der Zeugen Jehovas (Austrian Jehovah's Witnesses). The religious community applied for legal recognition as a religious society and asked to be granted legal personality in 1978. The requests were initally refused and only after long proceedings legal personality was granted in 1998 (twenty years after the initial application!). Recognition as a religious society was dismissed, however, and a ten-year qualifying period was imposed. The applicants complained that their freedom of religion had been violated (Article 9 ECHR), that Austria had discriminated in dismissing their request for recognition (Article 9 in conjunction with Article 14), that the legal proceedings had taken longer than reasonable (Article 6) and that no effective remedy existed (Article 13). The Court found violations on all counts, except the last one. The finding of a violation of Article 6 was unanimous, but on the first two points the Court ruled six votes to one, with the Austrian judge being the dissenting voice (sic!). Under Article 9 ECHR, the Court found that the period of 20 years of non-recognition after the initial request amounted to an interference. Although it was prescribed by law and pursued a legitimate aim, it was not necessary in a democratic society. The Court emphasized the importance of pluralism and held that the granting of legal status was not a sufficient form of compensation. The Court's assessment of the discrimination complaint focussed on the ten-year qualifying period and the importance of the state's neutrality in applying it. Since the applicants could show that Austria had recognised another, much newer church community, it did apparently not consider the ten-year period to be essential. Thus the difference in treatment (compared to other religious communities) had not been objective or reasonable. The applicants were awarded 10,000 euros for non-pecuniary damage, but it is clear that executing the spirit of the judgment would entail legal recognition of the Austrian Jehovah's Witnesses as a religious society. The judgment can be found here and the press release here. Yesterday, the Constitutional Court of Turkey ruled that Prime Minister Recep Tayyip Erdogan's AK Party will not be banned. It was a Phyrric victory for the party, however. A majority of the judges voted to close down the party, but the majority was not large enough. The party will suffer financial consequences, since the Court did vote to diminish state funding for the Party. As reported earlier on this blog, last week the European Court decided not to issue a preventive interim measure on the case. As now appears, this was indeed wise. Nevertheless, the saga does not stop here, as the legal and political fights over the AK Party's status are bound to continue in Turkey for the months to come. For the BBC News press release on the Constitutional Court's decision, click here. For reactions from the Council of Europe, see here. Today the Moldovan newspaper Flux for the first time lost a case before the European Court of Human Rights. The newspaper is famous among Strasbourg watchers. It instituted and won six earlier cases before the Court and each time a violation of Article 10 ECHR (freedom of expression) was found. Today's case is the seventh (somewhat confusingly called "No. 6", since one of the six earlier cases was initiated together with another applicant). 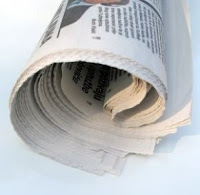 In the earlier cases the newspaper had been convicted on the national level for publications which usually dealt with public scandals and misbehavior of public officials. Each time the Court found that the conviction or fine was not necessary in a democratic society and had thereby indirectly boosted the freedom of the press in Moldova. This time, Flux published an article on a school principal who had allegedly misappropriated school funds and had taken bribes. Flux had, however, failed to ask the principal for a reaction nor had it allowed him to publish a reaction. The Court, by a narrow margin of four against three, held that such behaviour by the newsspaper was irresponsible and found no violation of Article 10. I am curious to read the dissenting opinions! The judgment is available here and here is the press release on all of today's judgments. Last Friday, 25 July, the Court received an application by Ali Sezer relating to the possible dissolution of the ruling party in Turkey, the AK Party (Justice and Development Party). The applicant also asked for an interim measure "to prevent the Turkish Constitutional Court from ordering the dissolution of the AKP". The Court, on that same Friday, informed the applicant that it would not adopt an interim measure. In addition, it refused to give the case priority. It seems that the Court, wisely, first awaits what the outcome of the - turbulent - proceedings on the national level will be. The case may certainly return to Strasbourg in the future, if the Turkish Constitutional Court indeed orders the dissolution of the party. The Kononov judgment I mentioned in last Friday's post is now available on the Court's website (in English and in French). To find it, click here. It is relatively rare, but sometimes echoes of crimes committed during World War II reach the Strasbourg Court. In such instances the Court is called upon to look into atrocities which themselves gave rise to the drafting of the Convention and the creation of the Court. This week, the Court issued a judgment in such a case, Kononov v. Latvia. It found, with the smallest of margins (four votes against three), a violation of Article 7 ECHR. Article 7(1) provides that "no one shall be held guilty of any criminal offence which did not constitute a criminal offence under national or international law at the time when it was committed." Kononov was found guilty of having committed war crimes in Latvia in 1944. At that time he led a unit of partisans who killed several villagers in Latvia who had allegedly collaborated with the Nazis. The Latvian authorities started to prosecute Kononov in the late 1990s, which was still possible because war crimes were exempted from any statutory limits. Kononov complained that his actions were, in 1944, not contrary to the law. In order to solve the case, the Court had to assess whether the applicant's actions contravened international humanitarian law, specifically the appended Regulations to the Hague Convention of 1907. It concluded that the partisans had had legitimate grounds to consider the villagers as collaborators of the German army and that they were indeed armed by the latter. Thus the persons killed could not reasonably be considered as civilians. In addition, domestic law could not serve as a basis for his conviction. Thus the Court found a violation of Article 7 ECHR. Much more than in the cases concerning the war in Chechnya, the Court had to interpret the specifics of international humanitarian law (IHL) in this case. This obviously led to much discussion, if one considers that one concurring and two dissenting opinions are attached to the judgment. I leave it to experts of IHL to assess whether the Court did a commendable job here. The case was highly sensitive, since it touched upon the Second World War and especially since the applicant was a former Latvian and was granted Russian citizenship during the criminal proceedings in Latvia. Those familiar with the situation in the Baltic countries, may know that one of the major bones of contention between Latvia and Russia in the last few years is the issue of non-citizenship for the Russian minority in Latvia. In the case of Kononov, Russia intervened as a third party. It may have come as a relief to that state that the Court found in favour of a Russian citizen in a case which was not directed against Russia itself (as opposed to the Chechnyan cases). Today the judgment itself was not yet available through the Court's search engine HUDOC (a sign that the Court's summer recess is approaching? ), but the press release can be found here. In addition, click here for the admissibility decision (in French only). Article 21 ECHR provides that the Court's judges shall be of high moral character, qualified, impartial and independent. These criteria have been further specified in the Rules of Court. Apparently, this was not sufficient - or at least not sufficiently known to the general public. Thus, the Court drew up a new and very short public document last month: a Resolution on Judicial Ethics (adopted by the Court on 23 June 2008). The document outlines the judges duties and responsibilities in relation to e.g. other functions, conflicts of interests, and favours and advantages. 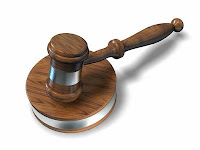 Although the text offers little more than one could reasonably infer from the Convention and Rules of Court, it is a clear and handy overview of a judge's responsibilities. They provide the underlying principles of the criteria contained in the Convention. Hopefully it will serve its purpose. After the Czech Republic and Greece, it was Croatia's turn last week to be faced with a complaint of unequal treatment of Roma in schools. 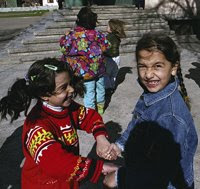 In the case of Orsus and others v. Croatia, the European Court of Human Rights addressed the issue of Roma-only classes in several Croatian elementary schools. The fourteen applicants were Roma children who had been placed in separate classes and had spent part of or even their entire primary school time in such separate classes. Most of the applicants did participate in extra-curricular activities, in which the groups were mixed. They claimed that the separation amounted to racial discrimination, that the courses in the Roma-only classes had 30% less content and that the separation caused psychological harm. They also pointed to the extremely high rate of Roma drop-outs in primary schools (84% as compared to 9% as a national average). The state contended that the separate classes were meant for pupils who lacked sufficient knowledge of Croatian. In addition, they submitted that in most of the schools concerned less than half of Roma children were placed in separate classes. The Court does not in principle exclude that treatment based on prejudice against an ethnic minority may fall within the ambit of Article 3 ECHR. In particular, the feelings of inferiority or humiliation triggered by discriminatory segregation based on race in the field of education could, in the exceptional circumstances of an individual pupil, amount to treatment contrary to the guarantees of Article 3 of the Convention. In the case at hand, however, the applicants had failed to substantiate that prevalent prejudice against them existed. Thus the Court found no violation of Article 3. A real Echternach procession outcome: two steps forward and one step back. For many future applicants, it will be difficult, although not impossible, to prove such prejudice against them. In the Court's view placing a disproportionate percentage of children belonging to a specific ethnic minority in schools for the mentally retarded bears no comparison with placing Roma children in separate classes on the ground that they lack adequate knowledge of the Croatian language. The Children were kept in the same schools and class transfers were possible. Although there was no clear set of standards and procedures, these shifts were without formalities and based on a teacher assesment of the individual child. Interestingly, the Court did indicate that having such standards and procedures would be "desirable" - which is less strongly formulated than in the Greek education case of June 2008. The Court finds it satisfying that the authorities invested themselves in addressing that sensitive and important issue, and that the placement of the applicants in separate classes was a positive measure designed to assist them in acquiring knowledge necessary for them to follow the school curriculum. Thus the Court considers that the initial placement of the applicants in separate classes was based on their lack of knowledge of the Croatian language and not their race or ethnic origin, and was justified for the purposes of both Article 14 of the Convention and Article 2 of Protocol No. 1. The Court's press release of the case can be found here. The European Roma Rights Centre, one of the NGOs representing the applicants, issued a press release of its own, deploring the outcome as a setback for Roma rights. Restricting hate speech is often a contentious point from the perspective of human rights. Last week, the Court issued a judgment on such speech in the French case of Soulas and others. Soulas was the publisher of a book written by Guillaume Faye entitled 'La colonisation de l'Europe' (the colonisation of Europe; see picture). In the book, Faye argued that Europe was gradually being overtaken by Muslims and that they had already established control over some territories (certain banlieues of Paris for example). The skirmishes in these places with the authorities were indeed, according to the author, the start of a civil war which was a necessary step in the 'reconquista' by Europeans of territories lost to the enemy, Muslims. An ethnic war was thus a necessary solution, Faye argued. Soon after the publication of the book the author, the publisher and the publishing firm were prosecuted. The former two were ordered to pay fines of 7,500 euros each for violating a law which prohibited the incitement of hatred and violence against a specific group. In Strasbourg, the applicants complained that their conviction by France violated their freedom of expression as protected by Article 10 ECHR. The Court first indicated that the issues addressed in the book - immigration and integration of foreigners - were issues of general importance. It then went on to state that addressing possible problems arising from such immigration was a task for national authorities, which should be given a large margin of appreciation since so much depended on the historical, demographic and cultural context. The Court indicated that the book was written in an accessible style and addressed itself at a large audience. It was polemical and tended to present the effects of immigration as catastrophic. After mentioning that the fight agaisnt racism in all its manifestations is of high importnace, the Court considered that the reasons given by the national courts for the conviction were relevant and sufficient: the book aimed to nurture feelings of rejection against certain communities by calling them the enemies in an ethnic war. The French courts had remained within the permissible margin of appreciation. Notably, on the penalty, the Court stated that 7,500 euros might seem high in the particular context, but that the applicants could also have been sentenced to imprisonment under the applicable law (sic!). Rather a strange argument. In addition, one may wonder what would have happened if the contents of the book would have been part of an article in the press, which is usually given a high level of protection by the Court, especially when it concerns issues of general importance. France had also argued that the application was an abuse of rights as prohibited by Article 17 ECHR and an abuse of the right to petition. The Court rarely uses Article 17, and this invocation reminds us of the case law of the former European Commission of Human Rights, which did apply Article 17 to declare several hate speech cases inadmissible. In Soulas and others the Court the court dismissed the argument by stating that the contents of the book are not sufficiently severe to bring Article 17 into play. Although I am personally a proponent of always assessing hate speech cases under Article 10, I do not find the Court's reasoning particularly convincing here. Especially since it did apparently judge the contents of the book to be severe enough to allow the French to take legal action against it. The outcome of the case may be morally satisfactory, the reasoning used would not win a beauty contest for the best-argued judgment. Almost amusingly, the applicants also claimed that the French actions were discriminatory, since the authorities did not proscute 'comparable' foreign authors such as Samuel Huntington or V.S. Naipaul! The Court held that these claims had not been sufficiently substantiated. Again, the judgment is available only in French, but the press release in English can be found here. This Thursday a motherload of 44 judgments is coming up. I will try and address the most notable ones from next week Wednesday onwards. There are two recent articles I would like to draw your attention to. The first is: Edouard Dubout, 'Interprétation téléologique et politique jurisprudentielle de la Cour européenne des droits de l'homme', which has appeared in the latest issue of the Revue Trimetrielle des Droits de l'Homme vol. 19 - no. 74 (2008). The article addresses the teleological interpretation method of the European Court of Human Rights. Please note that it is in French (and as far as I am aware not available in electronic format). The second article is: Christos Kassimeris & Lina Tsoumpanou, 'The Impact of the European Convention on the Protection of Human Rights and Fundamental Freedoms on Turkey's EU Candidacy', International Journal of Human Rights vol. 12 - no. 3 (2008). Both recommended! On 10 July the Court issued a judgment in the case of Medvedyev and others v. France on the length of legal detention under exceptional circumstances. The case related to the apprehension of the Winner, a cargo ship, by the French authorities on the high seas near the Capeverdian islands. The crew was arrested on suspicion of drug-trafficking. The ship was towed to the French harbour of Brest, its crew being held on the ship. This took thirteen days. Subsequently, the crew members were brought before a judge two or three days after the ship's arrival. The Court unanimously held that Article 5(1) had been violated for lack of a legal basis for the detention. Although France had received the authorisation of Cambodia (the flag state) for the pursuit of the ship, a clear legal basis was lacking under international law. In addition, the procedure under national law did not include an assessment by a "competent legal authority". The other contentious point in this case was whether the applicants had been brought "promptly" before a judge, as required by Article 5(3). Normally, the Court does not accept durations of more than a few days, even in the fight against terrorism. In this case the duration had been fifteen to sixteen days. In an earlier comparable "naval" case, Rigopoulos v. Spain, the Court had reiterated that only wholly exceptional circumstances may justify longer durations and that physical impossibility falls within that category. 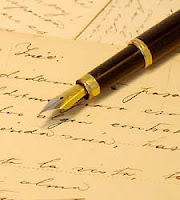 The Court held the Medvedyev facts to be sufficiently comparable. With a very small margin (four votes against three) no violation was found. The dissenting opinion focuses on the two or three days after the arrival of the ship. An interesting aspect is that it was not disputed between the parties that the crew members came within the jurisdiction (within the meaning of Article 1 ECHR) of France as soon as they were arrested on the ship. The judgment itself is only available in French, but the press release in English can be found here. And here is a webcast of the hearing in the case. Voting is not just a contentious issue in Zimbabwe, as several European Court judgments of this week show. The Grand Chamber ruled on Tuesday in the case of Yumak & Sadak v. Turkey that a 10% threshold for parliamentary elections did not violate the Convention in the specific context of the case. Although the two applicants got a large percentage of the vote in one region in the 2002 parliamentary elections, their party did not receive sufficient votes throughout the country as a whole. 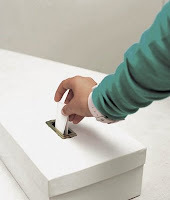 As a results of those elections, only two out of eighteen participating parties won seats, making the new Assembly the least representative since the introduction of the multi-party system. With a reference to the margin of appreciation, the Grand Chamber, with thirteen votes to four, found no violation of Article 3 of the First Protocol (right to free elections). Notably, the Court did indicate that a 10% threshold would in general appear "excessive", but not in this particular case! The case had been referred to the Grand Chamber at the request of the applicants, after a Chamber of the Court had found no violation (five votes against two) in its judgment of January 2007. Both judgments contain dissenting opinions. The hearing in the case before the Grand Chamber, held on 21 November 2007, can be watched here. For an elaborate analysis of the Turkish election system in the context of the ECHR, see the article of Ricardo Zimbron, 'The Unappreciated Margin: Turkish Electoral Politics Before the European Court of Human Rights' in the Harvard International Law Journal (vol. 49, 2007). On the same day, a Chamber of the Court did find a violation of the right to vote in the case of Georgian Labour Party v. Georgia. The Court concluded that two electoral disctricts had been disenfranchised in a manner which was neither consistent nor transparent. The symbol of the red star was at the core of a dispute on which the European Court of Human Rights decided yesterday. In its judgment in the case of Vajnai v. Hungary it found a violation of the freedom of expression (Art. 10 ECHR). 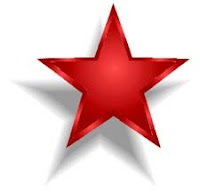 The Court is mindful of the fact that the well-known mass violations of human rights committed under Communism discredited the symbolic value of the red star. However, in the Court's view, it cannot be understood as representing exclusively Communist totalitarian rule, as the Government have implicitly conceded. It is clear that this star also still symbolises the international workers' movement, struggling for a fairer society, as well certain lawful political parties active in different Member States. Thus the ban in the Hungarian law was too broad and indiscriminate. Vajnai had worn the star, morevoer, in a peaceful demonstration and his party had no totalitarian ambitions. Nor had Hungary shown that the use of the star had triggered any danger of disorder. There was therefor no "pressing social need" for the interference. The Court is of course aware that the systematic terror applied to consolidate Communist rule in several countries, including Hungary, remains a serious scar in the mind and heart of Europe. It accepts that the display of a symbol which was ubiquitous during the reign of those regimes may create uneasiness amongst past victims and their relatives, who may rightly find such displays disrespectful. It nevertheless considers that such sentiments, however understandable, cannot alone set the limits of freedom of expression. Given the well-known assurances which the Republic of Hungary provided legally, morally and materially to the victims of Communism, such emotions cannot be regarded as rational fears. In the Court's view, a legal system which applies restrictions on human rights in order to satisfy the dictates of public feeling – real or imaginary – cannot be regarded as meeting the pressing social needs recognised in a democratic society, since that society must remain reasonable in its judgement. To hold otherwise would mean that freedom of speech and opinion is subjected to the heckler's veto. The case also found its way to the European Court of Justice (ECJ). The Hungarian regional Court considered that EU law was possibly involved and asked the ECJ for a preliminary ruling on the question whether the criminal sanctions for using the symbols involved were discriminatory, since many other EU member states did not prohibit them. The ECJ, however, held in an order on 6 October 2006 (case C-328/04) that it had no jurisdiction since the question fell outside of the scope of Community law. The press release in the ECHR-Vajnai case can be found here. Last week, the European Court handed down judgments in three new disappearance cases, finding amongst others violations of the right to life: Ruslan Umarov v. Russia, Musayeva v. Russia, and Akhiyadova v. Russia. I have earlier commented that the stream of this kind of cases seems almost endless. However, there is an overview available of all decided and pending Russian disappearance cases, provided by the NGO Russian Justice Initiative, as they kindly pointed out to me. It contains an accessible search engine, overviews of facts and violations, and indicates for each case the stage in the proceedings: admissible, communicated or decided. In addition, it contains a handy interactive timeline. Recommended for Caucasus watchers and for those interested in forced disappearances cases! What's in a Name (Again)? "Names are central elements of self-identification and self-definition." That is what the Court held in last week's judgment in the case of Daróczy v. Hungary. The case concerned a widow who was forced to change her name. When she married, in 1950, the applicant adopted the female version of the name of her husband Tiborné Daróczy. The correct version, according to the law, should have included his middle name in her new name: Tibor Ipolyné Daróczy. However, on the marriage certificate and on many documents issued by the authorities in the following decades, the short version was used. That was also the version Ms Daróczy used to identify herself. Only in 2005 did the authorities issue an official certificate with the long version. Since this was different from the name she had used so far, she was for example unable to access her bank acocount. The authorities refused to recognise the short version. The European Court held that the state had not shown that using the short version would, in this case, prejudice the system of name registrations. The restrictions on her using her short name were unacceptably "rigid" according to the Court. Thus, it found a violation of Artcile 8 ECHR (right to privacy). Towards the end of the judgment, under the assessment of damages, the Court indicated that Hungary "should take steps to rectify the applicant's personal situation and recognise in some official manner that she may retain her longstanding name of Tiborné Daróczy." Although this does not return in the concluding part of the judgment, it is another reflection of the recent trend in the Court's jurisprudence to indicate what states can do to specifically remedy the wrong done. In addition, the widow was awarded 3,500 euros for non-pecuniary damage. For earlier cases on name laws, see e.g. Stjerna v. Finland (request to change surname refused by authorities; no violation of Article 8 ECHR) and Bijleveld v. the Netherlands (on last names of the applicant's children; declared inadmissible). Those cases clearly show that national authorities are given a lot of leeway in this field. Yesterday, the European Court of Human Rights gave an important ruling on the legality of intercepting telephone and email communications in Liberty and others v. the United Kingdom. The applicants, three NGOs from the United Kingdom and Ireland complained about the interception of their communications by the Electronic Test Facility of the British Ministry of Defence in the period 1990-1997. The Court ruled unanimously that such interceptions violated the right to privacy of Article 8 ECHR. The main reason was that the existing law did not offer sufficient safeguards against abuse, since it allowed the authorities an extremely broad discretion and since the state had not provided in any way accessible to the public how they would use such discretion in the examination, sharing, storage and destuction of the intercepted communications. The case is to be noted, because it provides - to a certain extent - minimum guidelines for states eavesdropping on their citizens' electronic communications. One of the winning applicants in the case already declared yesterday that the judgment will have implications for comparable laws in other state parties to the European Convention. Another timely judgment in an era of increasing encroachments on privacy! The press release of the Court's registry can be found here. A press relase of one of the applicants, the NGO Liberty, is to be found here. In what must have been one of its the most difficult cases, the European Court yesterday ruled in Gäfgen v. Germany. Yesterday's judgment is the apex of long and highly publicised judicial proceedings. In 2003, the applicant, Magnus Gäfgen, was sentenced to life imprisonment for the murder of J., the eleven year old son, of a rich bankers family from Frankfurt am Main. Gäfgen had lured the boy into his home and subsequently killed him. That same day he dropped the corpse of the boy into a pond. He had then demanded a ransom of one million euros from the family, without disclosing that J. was already dead. Shortly after picking up the ransom, Gäfgen was arrested. The case centres on what occurred next: thinking that the boy was still alive but in grave danger, the police officers questioning Gäfgen threatened him with considerable pain if he did not reveal where the child was. As a result, Gäfgen disclosed where the corpse could be found. At the start of the trial, Gäfgen complained that his confession had been made under the threat of torture. The German courts acknowledged that the threats uttered against him were contrary to Article 3 and that his resulting testimony could not be regarded as proof during the trial. The consequences of this, however, such as the corpse of the boy, could be used at trial, according to the German judges. In addition, Gäfgen had later - during the trial itself - again admitted several times that he had committed the murder, although he was under no further threat. On the basis of these matters Gäfgen was convicted. The Court would like to underline in this connection that in view of the absolute prohibition of treatment contrary to Article 3 irrespective of the conduct of the person concerned and even in the event of a public emergency threatening the life of the nation – or, a fortiori, of an individual – the prohibition on ill-treatment of a person in order to extract information from him applies irrespective of the reasons for which the authorities wish to extract a statement, be it to save a person's life or to further criminal investigations. Moreover, the applicant's treatment must be considered to have caused him considerable mental suffering, which is also illustrated by the fact that, having persistently refused to make correct statements until then, he confessed under the influence of such treatment where he had hidden J. Thus, the Court finds that the treatment the applicant was threatened with would, if carried out, amount to torture. However, the questioning lasted for some ten minutes only and, as was established in the criminal proceedings against the police officers (...), took place in an atmosphere of heightened tension and emotions owing to the fact that the police officers, who were completely exhausted and under extreme pressure, believed that they had only a few hours to save J. 's life, elements which can be regarded as mitigating factors (compare Egmez, cited above, § 78, and Krastanov v. Bulgaria, no. 50222/99, § 53, 30 September 2004). Furthermore, the threats of ill-treatment were not put into practice and have not been shown to have had any serious long-term consequences for the applicant's health. 70. In the light of the above, the Court considers that in the course of the questioning by E. on 1 October 2002 the applicant was subjected to inhuman treatment prohibited by Article 3 of the Convention. The part about the mitigating circumstances are somewhat puzzling, especially in the light of the absolute nature of Article 3. It seems to be another expression of what the Court has been doing more often: the prohibition of Article 3 is absolute, but the assessment of whether a situation reaches the threshold of that prohibition seems to include some kind of balancing (or in this case, the fine line between torture and inhuman treatment!). The judgment then takes a twist, by focussing on the loss of victim status of the applicant. The Court indeed concluded that Gäfgen could no longer be considered a victim, since the national authorities had explictly akcnowledged that the questioning method had been contrary to Article 3 and the police officers involved had been prosecuted and punished. Moreover, the confession thus obtained had been excluded as proof in the trial of the applicant. Interestingly, although the applicant's proceedings for compensation on the national level were still pending, the Court held that in cases of a threat of torture (as opposed to "actual physical" treatment contrary to Article 3), the redress provided by Germany was sufficient. the outcome of the compensation proceedings thereby became irrelevant! The applicant was equally unsuccessful in arguing a violation of the right to a fair trial under Article 6. Although the Convention contains no rules on the acceptability of different kinds of proof in a trial, the Court reiterated that incriminating evidence "obtained as a result of acts of violence, at least if those acts had to be characterised as torture, should never be relied on as proof of the victim's guilt, irrespective of its probative value." Of course, in this case, the Court had characterised the treatment as inhuman, but not amounting to torture. This gave the Court leeway to look at the proceedings as a whole instead of finding a violation of Article 6 right away. And those "circumstances as a whole" led to a different result. The essential basis for the applicant's conviction in German courts had not been the confession obtained under the threat of torture, but the acknowledgements of guilt during the trial. Other evidence, such as the body of the boy, had only been acessory evidence in the Corut's view. It is difficult to predict what the Court would do if indeed the corpse (and possibly DNA evidence) had been the core evidence. Such a situation - even more difficult to decide upon - may present itself in the future. One may also wonder why the Court only referred to the dangers of physical torture. Especially considering the increased use of psychological torture (which leaves no physical traces) in the fight against terrorism, this is a very contentious point and it could open doors which the Court may have preferred to keep closed and locked. Such dangers are alluded to in the dissenting opinion of judge Kalaydjieva. In spite of these caveats, the outcome appeals to a deep sense of justice in the particular case. The situation was another complicated Gordian knot for the Court to cut and the judgment is bound to raise further discussion in the weeks and months to come. For a contrasting judgment, see Jalloh v. Germany on the forced administration of emetics to the applicant to obtain drugs concealed in his body. In that 2006 case, a heavily divided Grand Chamber found violations of Articles 3 and 6 ECHR. The concurring and dissenting opinions are well worth reading! The earlier (partial) admissibility decision can be found here. Click here for the press release and here for the video of the judgment delivery (a rarity in Strasbourg!). For a background report of a few years ago by Amnesty International on police violence in Germany (also featuring the Gäfgen case), see here.